To live comfortably you need to have a HVAC system which is efficient and working properly. 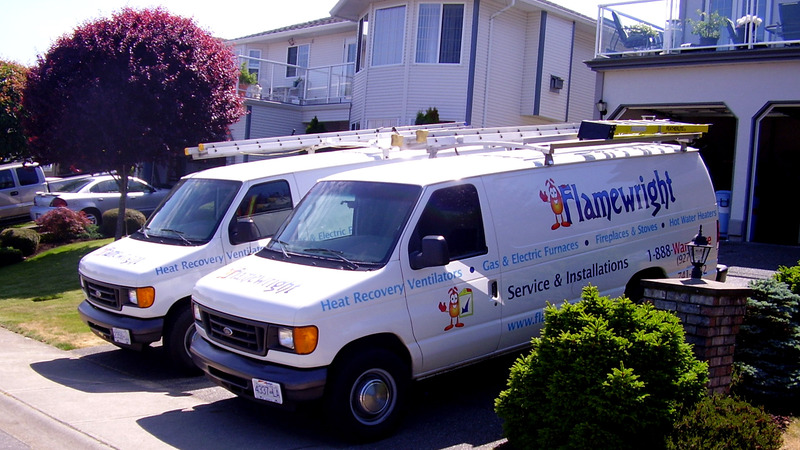 FlameWright has many years of experience helping the people of Nanaimo with their heating and cooling systems. Many of the homes and businesses of Nanaimo are running on systems which are more than 10 years old. Some of those HVAC systems have been receiving regular maintenance and are still running well enough. However, the older the system, the greater the possibility that efficiency has become a concern. As HVAC systems get worn down they will have to use more energy to get the same results leading to higher energy bills for the same result. If you are interested in finding out how to get the most out of your Nanaimo HVAC system then give FlameWright a call. 1) By having your system regularly inspected and maintained your technician will be able to spot small repairs before they become costly problems. 2) During the inspection the units are also cleaned and filters replaced to save you, the customer money. Trained in the repair and maintain all major brands of HVAC systems, FlameWright is here to make sure the people Nanaimo can live in comfort.